I saw a picture on Pinterest which lead me to make this recipe. The site that Pinterest directs you to is kalynskitchen.com and she makes an all zucchini crust and it looks delicious. 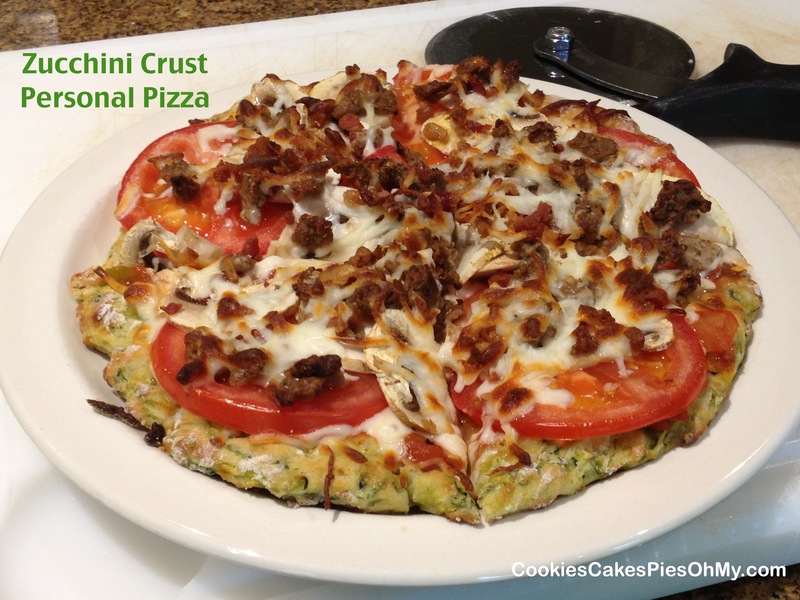 I love the idea of incorporating zucchini into the crust, I just still want the bread too. So, this is my version, thanks Kalyn for the delicious idea. This has become one of our favorite dinners. In microwave safe dish, put grated zucchini and 2 Tbl water. 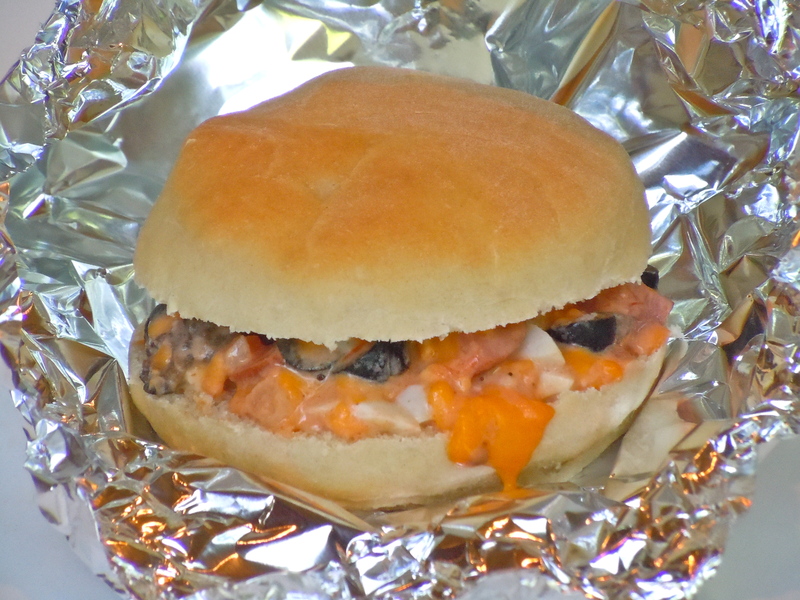 Cover with plastic wrap and microwave 2 minutes. Cool while making the dough. Add warm water to bowl, sprinkle yeast over water, and sprinkle sugar over yeast. Let sit until foamy. Add olive oil, flour, and salt. Stir just until combined. Drain and squeeze water from cooked zucchini, add to dough and stir just enough to combined. Let rest for 10 minutes. Preheat oven to 500°. 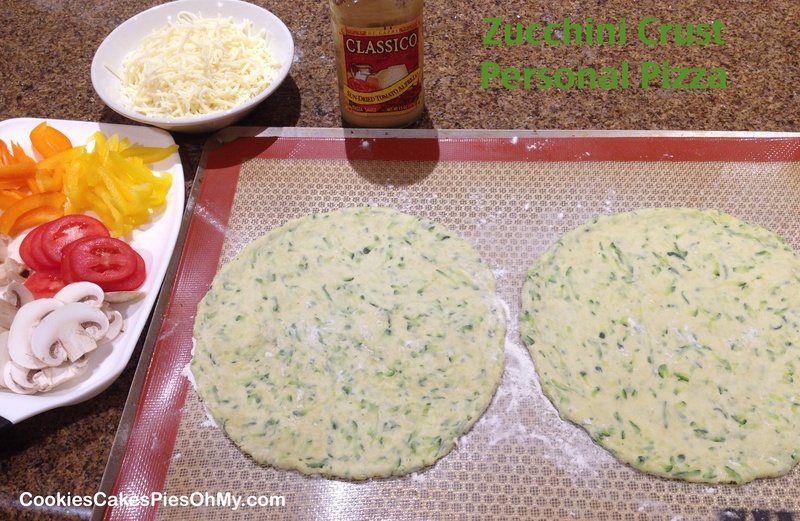 Turn zucchini dough out onto well floured surface, coat with flour, and cut in half. Working with one half and adding more flour as necessary, press into a circle. Place on baking sheet lined with silpat and sprinkled with cornmeal or sprayed with nonstick spray and cornmeal. Press out so the circle fills half of baking sheet. Repeat with other half of dough. Let rest for about 15 minutes. 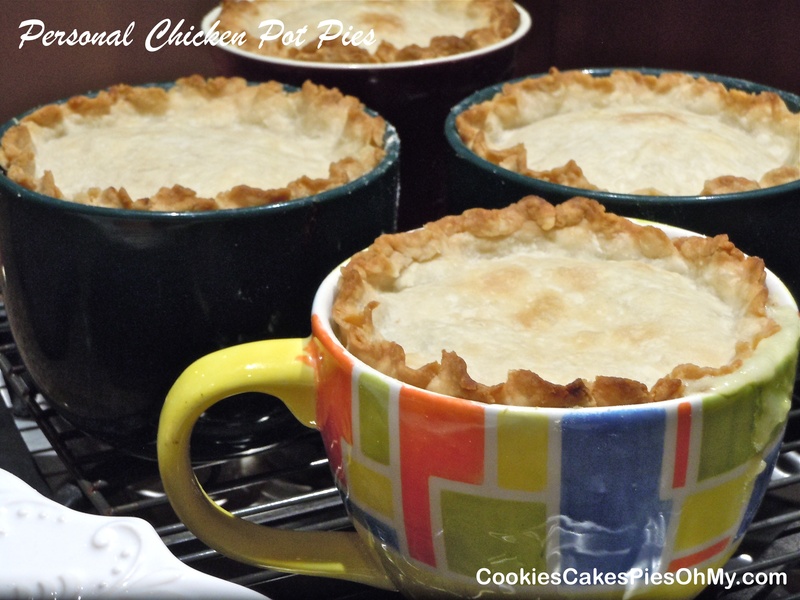 Bake crust for 5-8 minutes. 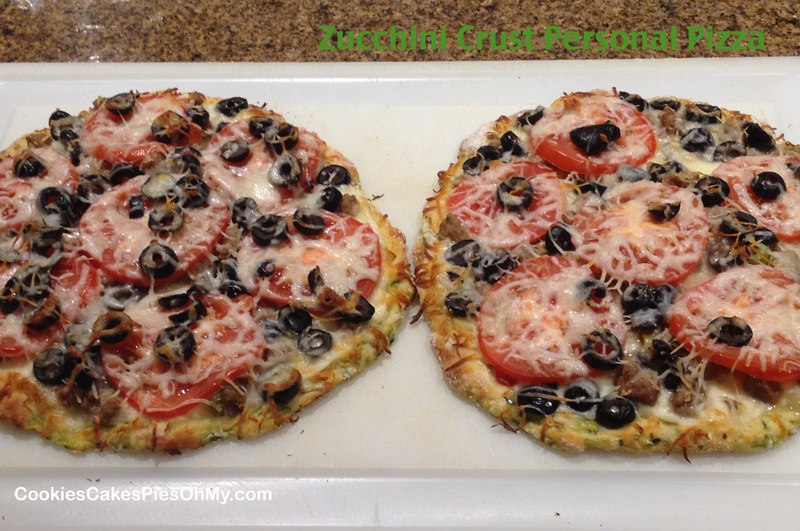 Remove from oven, spread with sauce, cheese, and desired toppings. Return to oven for another 5-10 minutes, or until crust is golden brown and cheese is melted. Perfect dinner on a cold winter’s night! Measure flour and salt into bowl. Cut shortening into flour. Add ice water 2 Tbl at a time, stirring into flour just until dough together. Wrap dough in plastic wrap and refrigerate. Preheat oven to 425°. Stray four oven proof bowls or mugs (16 oz or 2 cups each) with non-stick spray. In large saucepan over medium heat, melt butter, stir in onion and cook until tender. Stir in flour until well blended. Gradually stir in chicken broth and milk, stirring and heating until thickened. Salt and pepper to taste. Turn heat to low, stir in chicken, green chilies, and vegetables and cook for 2 minutes, turn off heat. Remove pastry dough from refrigerator, divide into four pieces. Work with one piece at a time. On floured surface, cut off 1/4 of the piece of dough and save for top crust. Roll out the 3/4 piece to large circle, gently work down into prepared bowl or mug to cover inside. Repeat with remaining three pieces of dough. 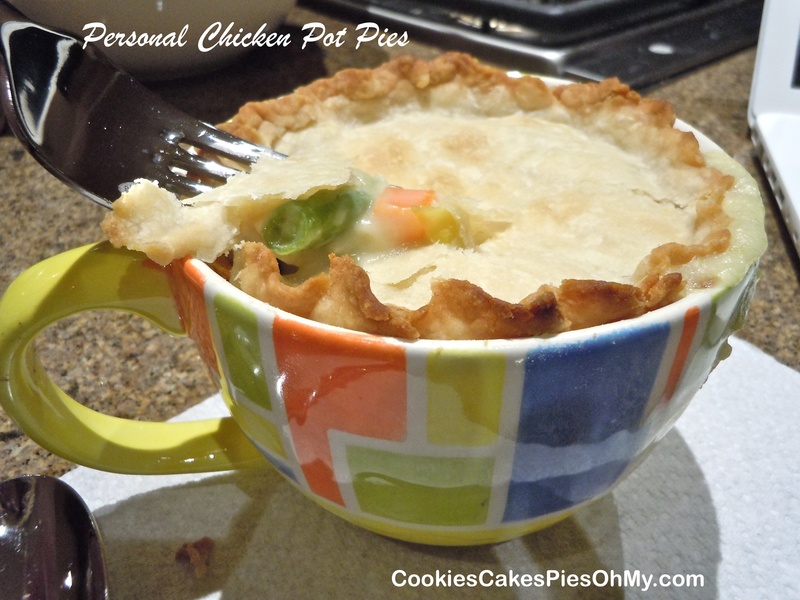 Spoon the chicken filling evenly between pastry lined bowls or mugs. Roll out each of the top pieces of dough and place over filling, pinch top crust to bottom crust to seal, and cut a couple slits in top crust to vent. Bake 25-30 minutes, let sit at least 5 minutes before serving. Careful, filling will be hot. Enjoy!